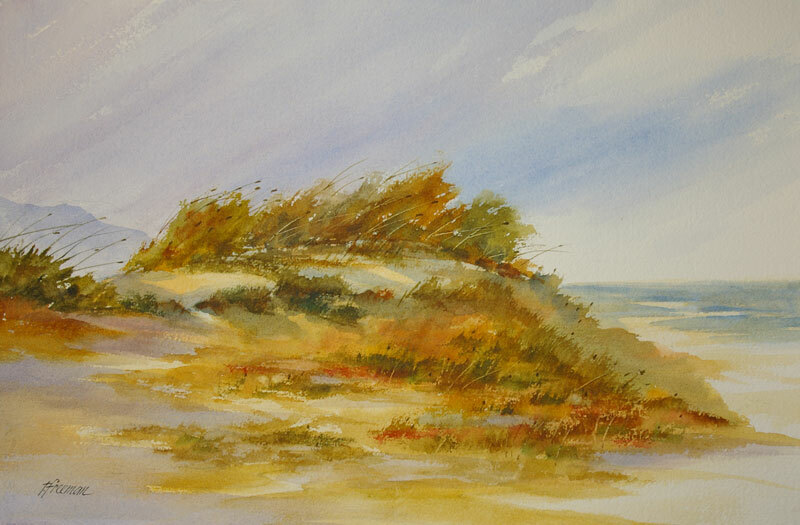 Thomas Freeman Original Watercolor Painting: "Dunelands"
This scene is a remembered image of the long shoreline on the Eastern edges of Lake Michigan. The blowing winds constantly shift the sand dunes. I am showing the long dune grasses bending to an offshore breeze.